Big-box hospitals and health systems are finding alternative methods to bring convenient care to their patients, renting retail space in Walmarts, opening their own clinic chains, or offering their physician practices at more convenient hours. These facilities started with runny noses and flu shots. Now retail health clinics are thinking bigger. 1) Retail Medicine’s Impact On Hospitals Is Already Effecting Local Physician Markets. What happens to the smaller health systems or community hospitals that can’t compete with larger hospital networks with big financial backing? They find a local outlet, like a physician or healthcare retailer to add access points, spread their reach out of their core market, and relieve any primary care shortage they might be facing. In an arcticle recently by H&HN, Accenture’s Kaveh Safavi, M.D., a health industry lead for Accenture, says nothing precludes those organizations from tailoring their services to match what makes retail clinics appealing to consumers — mainly convenience and price transparency. In the early days insurance providers feared “doc in a box” stores would drive up prices. Without strong support from the third-party payer system, many would-be urgent care chains fizzled out. American Family Care survived the initial bust by bootstrapping only one or two new clinics a year, slowly proving to patients and payers that its model was actually significantly cheaper than other options. 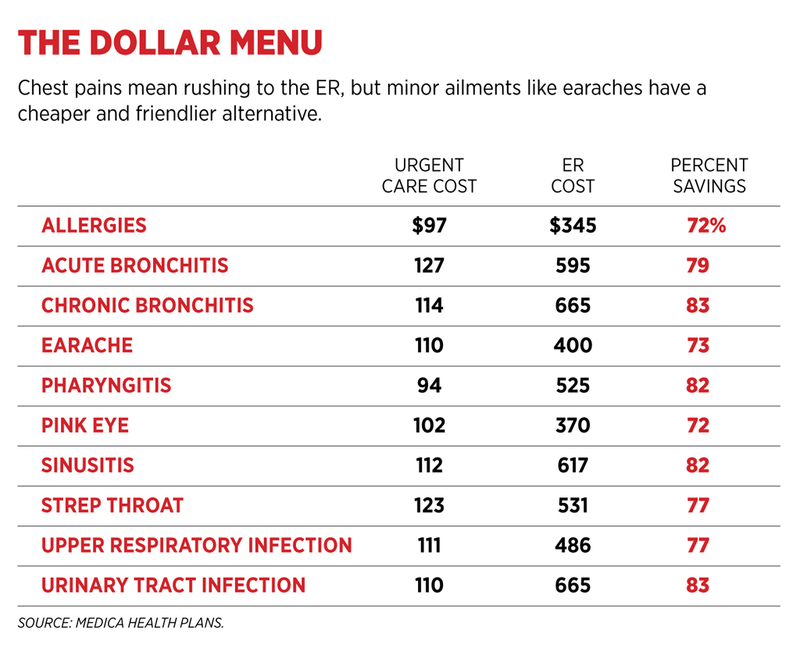 While a trip to a hospital or stand-alone emergency room can easily top $1,000, the average urgent care visit costs under $200. Walgreens turned hospital executives’ heads in April 2013 when it announced that its clinics would begin diagnosing and treating chronic conditions such as diabetes and hypertension. The chief medical officer of the company’s renamed Healthcare Clinic says it wasn’t a declaration of war against hospitals. Walgreens isn’t acquiring physician practices, doesn’t offer imaging and has no space for inpatient beds. Rather, the retail giant wants to be the American health system’s primary care front door, and a key piece of the population health puzzle. 2) Retail Medicine’s Impact on DPC Pricing: Competing For The Same Dollars & Demographics. H&HN continues to add that the rapid growth of retail clinics presents both challenges and opportunities for hospitals and health systems, and I would also add DPC clinics as well, especially as you build out your own primary care stable of services inside your local DPC practice. It’s estimated that 50 million low-acuity visits a year at $100 apiece represent a $5 billion market. That’s good news for DPC physician practice which on average across the country have a monthly price point between $85-$125 per patient, per month, according to The DPC Journal’s research and data collection arm, The Collective. Physician practices and emergency departments — and the health systems that own and operate them — could feel the pinch from lost visits. Retail clinic operators are competing to partner with health systems and serve as referral sources for patients who need more complex care. Walgreens also has made several other maneuvers aiming to free itself from the drugstore mold in recent years. For example, it partnered with DeKalb Medical in Decatur, Ga., to deliver medications to the bedside from the on-site pharmacy. It formed accountable care organizations with physician groups in New Jersey, Florida and Texas to strengthen collaboration between physicians and pharmacists. And it launched a care transitions program last year called WellTransitions, to help bolster medication adherence and reduce readmission rates and costs.